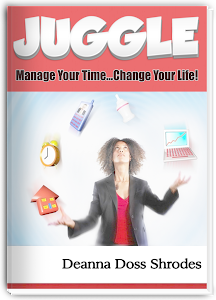 Have you already read JUGGLE? Did you enjoy it? I'd love to hear your thoughts about the book. You are invited to e-mail me. I also encourage you to write a review on Amazon, at the book's page. Share about it on Facebook. E-mail this link to your friends. Join the JUGGLE Facebook page and ask your friends to join too. I will be sharing updates about JUGGLE there as well as more tips and encouragement.